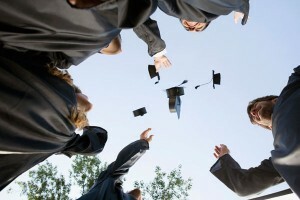 Each year, Parents Magazine and Edmunds.com join forces to create the definitive Best Family Cars list. This year, once again, Honda has a strong presence on that list with three different 2015 Honda vehicles earning the distinction. The Honda Accord, CR-V, and Fit all made the top ten list of Best Family Cars by Parents Magazine. All three of these vehicles also earned a top safety rating from the Insurance Institute for Highway Safety (IIHS) and are all equipped with a standard rearview camera. Those safety features combined with Honda’s overall excellent design, reliable reputation, and technological innovations made these vehicles easy choices for the Best Family Car list. The awards also show the diversity of the Honda lineup—with a subcompact car, sedan, and SUV all making the list. 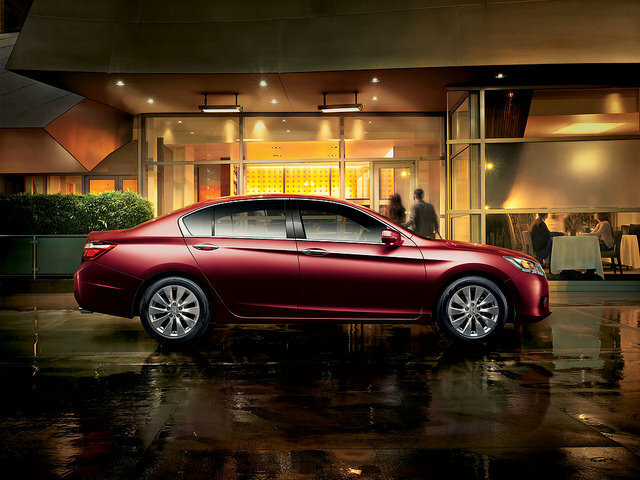 The Accord earned a place on the list for the third straight year, while the Honda Fit and CR-V were honored as a best budget car and a best crossover for families, respectively. All three vehicles come with tons of great features, many of them all new for the 2015 model year, so come see Avery Greene Honda to learn more about the lineup . With EarthDreams engine technology, elegant design, and fun and convenience for all, the Honda lineup is quite simply the best in the world. Honda has introduced the third generation of the popular Fit model to the world, and it remains the best, most fun subcompact on the road today. In fact, the brand has done nothing less than completely improve the all-new Honda Fit, making it even sportier and driver-friendly for the 2015 model year. The car is so all-around excellent, in fact, that it recently landed a spot on the 10 Best Family Cars for 2015 list from Parents Magazine and Edmunds.com. The Honda Fit has always reminded us of either a raindrop or a bullet. Whichever image you prefer, though, one thing remains the same: the Fit is a zippy and efficient little missile that will get you where you want to go, especially in busy urban settings. 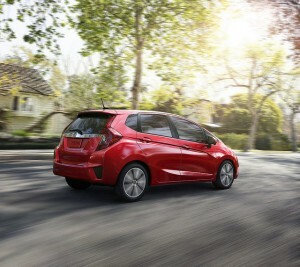 The new third-generation Fit comes with more standard features such as automatic headlights, Bluetooth capability, LED taillights, and a six-speed manual transmission. It also comes with a 1.5-liter four-cylinder engine that jets out 130 horsepower and 114 lb-ft of torque. The Fit comes in no less than five trim configurations, so come see us at Avery Greene Honda to learn more about each of those trim levels and their options. We can tell you in advanced that the baseline LX trim gets the best gas mileage, especially when equipped with the CVT transmission. With tons of exterior and interior options—including vibrant color schemes and aesthetic accessories—and Honda’s special “Magic Seat,” this small car is big on both fun and performance. Honda has officially announced its impressive lineup for the upcoming 2015 Tokyo Auto Salon, an annual auto show, which will take place this year from January 9th through 11th. However, secretive as always, a few vehicles are still being kept under wraps. Of the announced, the vehicle that easily stands out the most is the “Cyber Concept N-Box Slash Code: 89” a highly customized model of the recently released N-Box Slash supercompact. With this boxy vehicle, Japanese customizers pay a cheeky tribute to American car culture. At the show, Honda will also feature “a Vezel (HR-V in North America and Europe) designed by Japanese fashion company ‘Samantha Thavasa’, Mugen versions of the Legend, Grace and Fit RS, racecars and a number of motorcycles,” according to CarScoops. We at Avery Greene Honda can’t wait to see all of Honda’s 2015 Tokyo Auto Salon lineup, only wishing that we could be there in person. What about you? Lets know your thoughts in the comments. One of the most anticipated vehicles of 2014 was neither a pony nor a hellcat, nor was it a pickup or a crossover. It was one of the most fun, affable, and tech-savvy vehicles on the road, and it’s been earning rave reviews from drivers and critics alike since it hit the streets—the 2015 Honda Fit. The 2015 Fit takes everything that everyone loved about the second-gen Fit and makes it better. It comes with a strong and distinctive new look, an all-new 1.5-liter i-VTEC direct-injected four-cylinder engine that manages to improve power and boost efficiency, and an updated chassis that makes the new Fit a dream to drive. There’s a fit for everyone in every price range: the well-equipped base model starts as low as $15,650; the line-topping EX-L with Honda Sat-Linked Nav with Voice Recognition, leather-trimmed seats, and 7” Display Audio with HD Radio and Sirius XMRadio starts at an affordable $20,925. 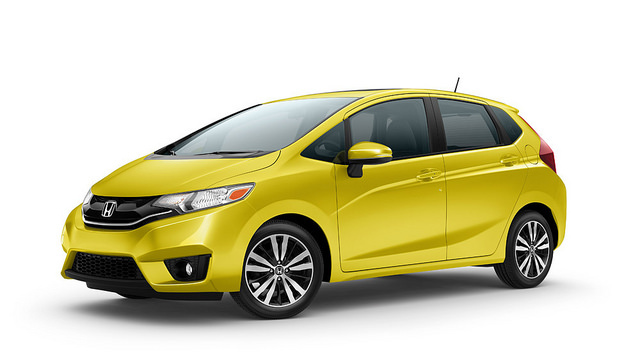 The 2015 Honda Fit is available in a number of trims and colors at Avery Greene Honda. With the holiday just around the corner, why not go all-out and get a very special loved one an absolutely unbeatable gift? 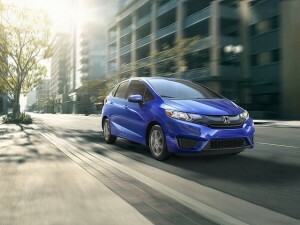 The automobile all-star team has a new point guard: the new Honda Fit. The compact car was named an Automobile Magazine All Star for the 2015 model, thanks to its balance of practicality, customization, and fun-to-drive experience. 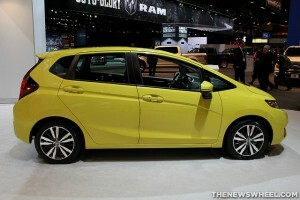 We can’t say we are surprised here at Avery Greene Honda, since we see the Fit earning more converts every single day. The 2015 Fit is now the 20th Honda to make the All Star list. Here at Avery Greene Honda, though, we basically think all of our vehicles are all-stars. So come see us today to find the right fit for you! Watch out, Toyota—Honda is coming for you in the green car segment! The editors at Green Car Journal recently announced that the 2015 Honda Fit is a finalist for Green Car of the Year—a prestigious award that recognizes the most eco-friendly cars in the industry. With a complete redesign and class-leading EPA-estimated fuel economy, the Fit is a top choice for this award, showing that you don’t need to go hybrid to be fuel-efficient. The 2015 Fit offers an EPA-estimated 36 mpg combined to consumers, while providing fun-to-drive performance with its Earth Dreams Technology 1.5-liter engine and either six-speed manual transmission or CVT. Combining this terrific fuel economy, along with its ample cargo room, the Fit is the perfect car for anyone who needs a versatile mode of transport. To see the finalist for Green Car of the Year for yourself, stop in to Avery Greene Honda today and give the 2015 Fit a test drive!